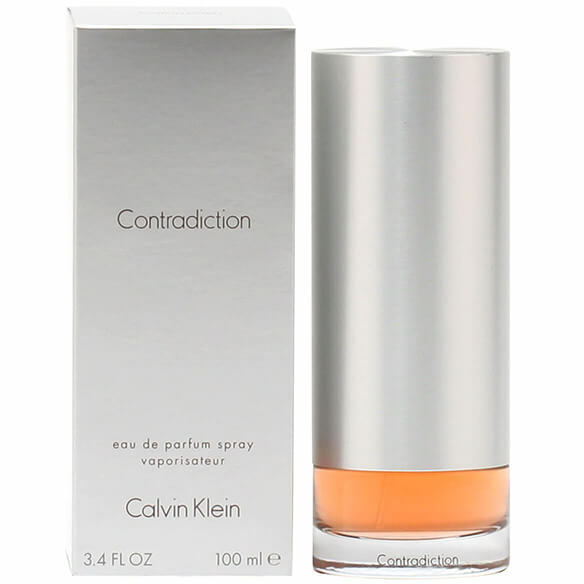 Calvin Klein Contradiction is a daytime women's fragrance that is subtle, yet sensual. It's refreshing, floral fragrance reminds one of the Orient with it's notes of eucalyptus, syringa, and jasmine. It is sure to get you noticed! Features top notes of Peony, Rose, Jasmine and Lily Of The Valley, middle notes of Pear, Eucalyptus, Syringa and Orchid and base notes of Tonka and Sandalwood. 3.4 fl. oz. An EDP spray. No express shipping. No shipping to PO boxes.